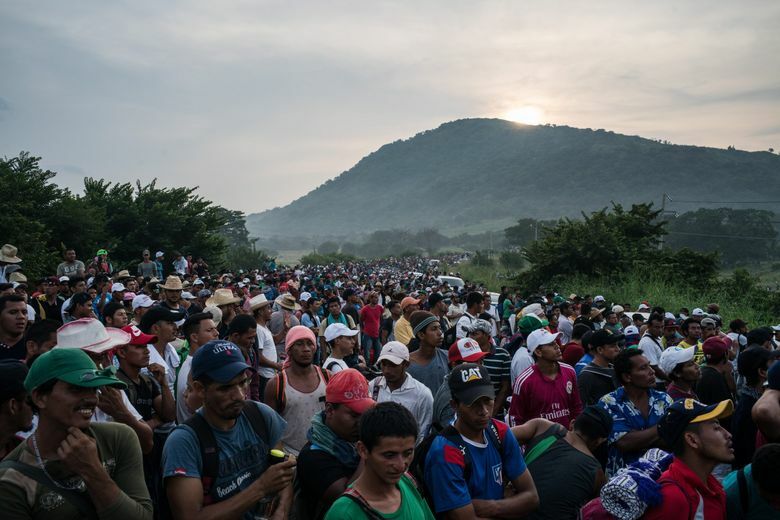 WASHINGTON – The Trump administration introduced new measures Thursday to deny asylum to migrants who enter the country illegally, invoking national security powers to curb long-standing humanitarian protections for foreigners arriving on American soil. The restrictions will invoke authorities used by President Donald Trump to implement his “travel ban” in early 2017, according to senior administration officials who outlined them, and apply indefinitely. Administration officials said the Supreme Court has upheld the president’s broad executive powers on such matters and that the restrictions rolled out Thursday represent a reasonable response as the nation’s immigration system is drowning in what they characterized as frivolous asylum claims by migrants who cross illegally. These asylum restrictions mark the administration’s latest attempt to prevent immigrants and foreigners from entering the United States. 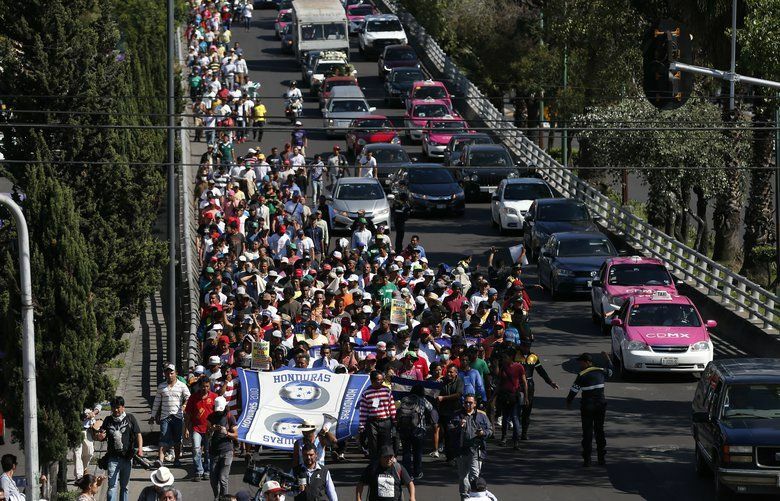 Thursday’s announcement comes as an estimated 7,000 to 10,000 Central Americans move north through Mexico in caravan groups. Trump has demanded new tools to stop them from entering the United States and ordered the deployment of thousands of the U.S. troops to back up border agents. 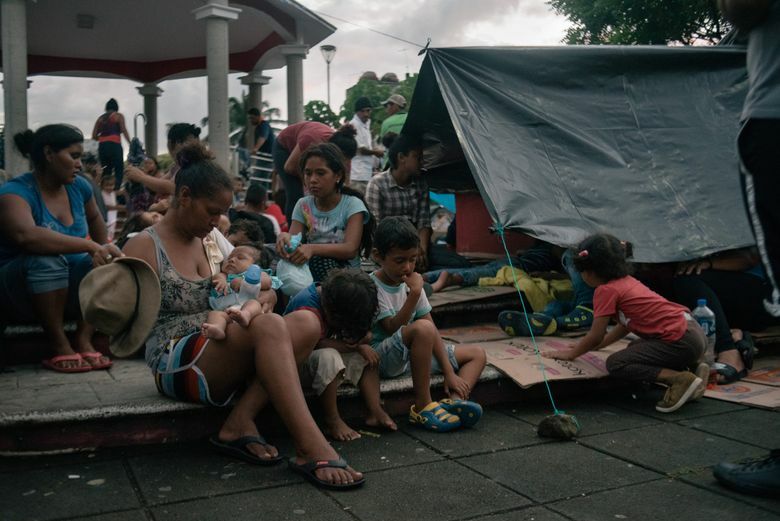 Detention capacity at U.S. immigration jails is nearly maxed out, and court-imposed limits on the government’s ability to hold children in immigration jails mean caravan families who seek protection are still likely to be released into the United States pending a hearing. One senior official said the purpose of the rule change would be to funnel asylum seekers to ports of entry where the government will have more personnel and resources available to process their claims. But with so many asylum seekers arriving at border crossings in recent months, U.S. customs officers have been limiting the number of people allowed to approach the pedestrian entry lanes, a tactic known as “metering” that has also triggered challenges in federal court. Separately on Thursday, a federal appeals court in California ruled that Trump cannot immediately end the Deferred Action for Childhood Arrivals (DACA) program that shields from deportation young immigrants who were brought to the country illegally as children or lack permanent legal status. The unanimous decision by a three-judge panel of the U.S. Court of Appeals for the 9th Circuit increases the likelihood that the fate of nearly 700,000 “dreamers” will be settled by the Supreme Court. The Washington Post’s Maria Sacchetti, Felicia Sonmez and Robert Barnes contributed to this report.